Beautiful details, delicious solid chocolate. 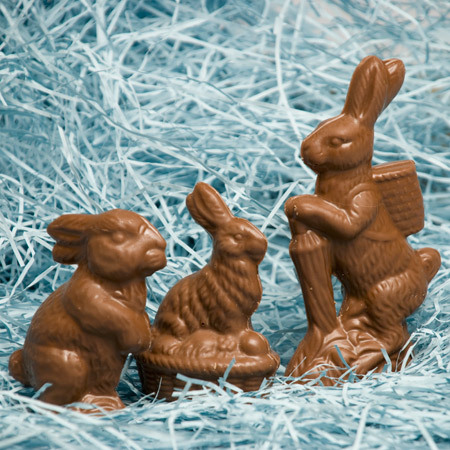 No Easter is complete without Chocolate Easter Bunnies hopping around! And we have three wonderful guys (or gals) to choose from! Available in Belgian milk or dark chocolate, wrapped in cellophane with ribbon ties.